The current state of Africa is not a good story to tell. As the figures stand, 43% of Sub-Saharan population is living in extreme poverty, roughly 388 million people. Its average GDP per capita is roughly 45 times smaller than the United States. The average GDP per capita of the world in 2014 was $8000 and that of Sub-Saharan Africa was $1000 according to the World Bank. This current situation has led me to ask myself what went wrong with Africa. Can Africa’s lack of development still be blamed on colonial rule? Have African countries not had sufficient time to reverse some of the legacies of colonial rule? Considering that Africa is a continent endowed with vast reserves of minerals why have we not been able to reach the land of milk and honey? As the popular saying goes, “To know where you are going, you must first know where you come from” and so we must trace the birth of Africa’s modern economic and political system to the colonial days. There are three economic burdens that the African economy inherited from its colonial era. Labour exploitation; the draining of capital and surplus; and the lack of a diversified local economy. Prior to colonisation, Africa’s labour was already well exploited with the advent of the Atlantic Slave trade which saw 15 million Africans uprooted. This allowed development to occur in the West without incurring labour costs. Alex Thomson states that firstly labour that could have went into developing Africa, was used instead to accrue capital elsewhere in the West. Secondly even during the colonial period Africans were not paid the same wages as workers in Europe and therefore could not achieve similar standards of living. Thirdly there was no investment made in educating the labour force, illiteracy levels remained high during colonization. Africa during colonialism was turned into an export economy. For an economy to grow, a surplus is required and it must be invested productively. Infrastructure that was built during colonization was strictly to allow commodities to be exported. Profits that were obtained from the primary sector went to the West and were not invested locally. In fact African economies were characterised by: specialized export economies; small manufacturing bases, no access to technology, no training in modern business, administration and social services. So what you have is an economic region that is set-up to export raw materials to the industrial regions. African countries became monocrop economies specialising in exporting one, two or three primary products with no diversity or additional sources of income. 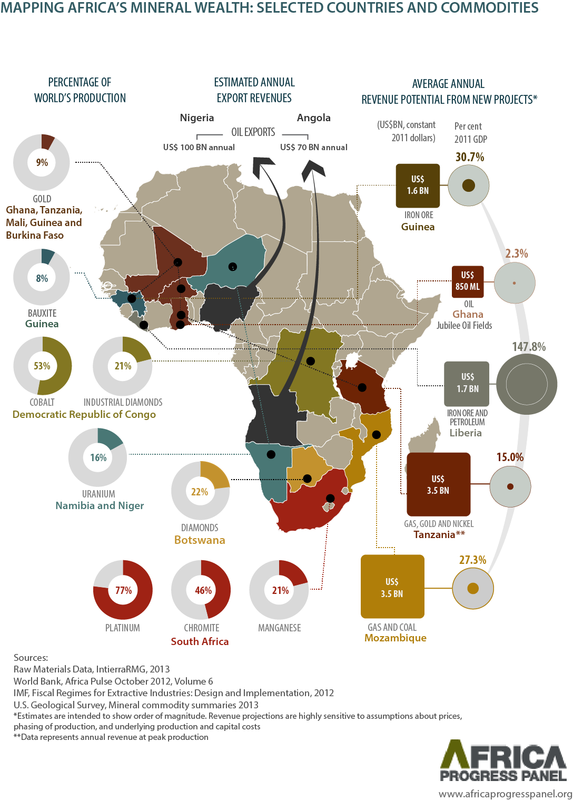 Africa’s economy was disarticulated, there was no broad integration. Infrastructure was built solely to ensure the transportation of extracted commodities to ports. There was no regional integration, trade and communication with other African countries established. Which is why intra-African trade remained extremely low even up to the present day. An additional structural legacy of colonialism was that Africa became dependent on the West buying its primary products which led to “closed markets” that reduced prices. For example Ivory Coast’s entire harvest of cocoa in 1988 was bought by France’s SucDen Transnational Company. 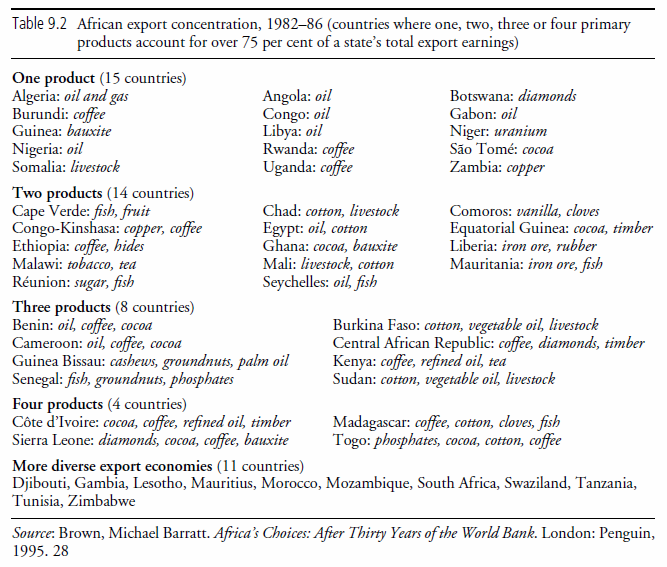 Such practices led to the value of Africa’s exports declining by 20% from 1980 to 2000. A United Nations report estimated that 85 per cent of the value of manufactured goods was kept in the West. Only 15 per cent of this capital found its way back to the country that had provided the raw materials. Combined with the falling prices of commodities, Africa found it increasingly hard to take itself into the promised land of economic prosperity. It is from this inherited economic context that Africa had to emerge. In recognizing some of these factors we are able to better understand and direct the trajectory of Africa. It is clear from our economic history that relying solely on exporting raw materials will not help Africa’s economy grow, we need to diversify and industrialize.